Use our handy debit card to write "electronic checks" at any merchants accepting MasterCard - worldwide! No more worries about having your checks accepted anywhere. Plus you can use your debit card for ATM transactions, too. Make checking or savings deposits, withdrawals or account transfers whenever you like. Stop in and apply for one today. Your card and PIN will be delivered to your mailing address in two separate mailings, usually within a day or two of each other. 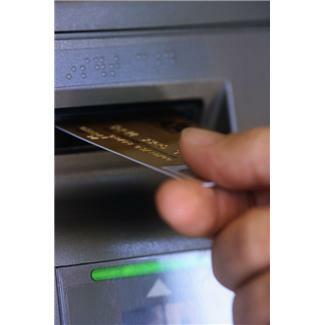 After receiving your card and PIN visit one of our ATM machines to activate them. You can simply perform a balance inquiry to activate your card. After activation you are free to start using your card at ATMs and merchants. Contact us at once if you believe your card and/or PIN have been lost or stolen. During our normal business hours it is best to call us at 712-336-2455. Outside our normal business hours please contact Shazam directly at 800-383-8000. A credit card is a loan. A debit card is linked to your bank account and issued by your bank. There are a variety of prepaid cards, including "general purpose reloadable" (GPR) cards which carry a brand of a card network (such as Visa or Mastercard) and can be used where that brand is accepted. Payroll cards and gift cards are two other types of prepaid cards. When you borrow funds using a credit card, you must pay the money back. You may also have to pay interest if not paid in full. Credit cards may be especially useful if you want to pay for things when your bank account balance is low or to take advantage of no-interest introductory period. When you use a debit card, the money spent is taken directly from your bank account. Debit cards may be especially useful for small and routine purchases, but they are considered less beneficial than credit cards for major purchases or buying items online because of the more limited protections in cases of unauthorized transactions or disputes. Prepaid cards, which generally allow consumers to spend only the money deposited onto them, can have a number of different features. For instance, some gift cards may be used only at a single merchant; most GPR cards may be used to pay for purchases and access cash at ATMs. Your liability for losses is limited to a maximum of $50 if your credit card is lost or stolen, although industry practices may further limit your losses The maximum liability is $50 if you notify the bank within two business days after discovering an unauthorized transaction. But if you notify your bank after those first two days, you could lose up to $500, or perhaps much more. Liability depends on the type of funds on the card. If the card is a payroll card, then the liability rules are the same as for debit cards. But if the card is a general purpose reloadable card or a gift card, then there are no protections to limit your liability under federal law. Credit card solicitations must disclose certain information, including the annual percentage rate (APR), variable rate, penalty rate, fees, and other transaction charges. Banks must disclose any fees associated with using the debit card as well as its error resolution process. Disclosures depend on the type of card. For example, payroll cards must disclose any fees and the error resolution process, but a GPR card does not have any disclosure requirements. In addition, gift cards must disclose the terms of dormancy fees, whether there is an expiration date, and any other associated fees. Credit card issuers must provide a periodic statement for each billing cycle where the account balance is $1 or more at the end of that cycle or where interest has been charged. Banks must provide a statement for each monthly cycle in which a transaction has occurred. If there have been no transactions, then a statement must be sent quarterly. Payroll cards must provide either a periodic statement or account balance by telephone as well as electronic transaction history. GPR cards and gift cards do not have periodic statement requirements under federal law. Credit card issuers must provide 45 days notice before making significant changes to the account, such as the interest rate or fees charged. Banks must provide 21 days notice before making changes to fees charged or the liability limits for unauthorized transactions. Payroll cards must provide 21 days notice before making changes to fees charged or the liability limits for unauthorized transactions. GPR cards and gift cards are not required to do so under federal law. Generally, credit card issuers cannot increase the annual percentage rate (APR) or fees within the first year of account opening (although there are some exceptions to this rule). Card issuers must also reevaluate any interest rate increase every 6 months. There are no specific requirements related to debit cards. GPR cards and gift cards have certain restrictions on dormancy fees charged. There are no specific requirements related to payroll cards under federal law.